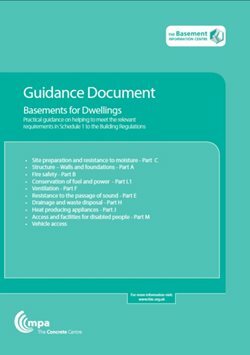 This Guidance Document provides guidance on the design and construction of basements for dwellings. It takes into account the effect on dwellings of including a basement and describes the means of meeting the relevant performance requirements of the Building Regulations. By selecting "Download", you will be redirected to the Concrete Centre bookshop, where your order will be fulfilled.